The American League and National League rosters for the 2016 Major League Baseball All-Star game, set to be held out at Petco Park, in San Diego, California, on July 12th (you can watch it on FOX at 8:00 Eastern) were released on Tuesday evening. As always, the baseball world is hard at work discussing the rosters, debating over which players were snubbed from the teams, which players didn’t necessarily (in their eyes) deserve to make the cut, and (most importantly) which team they think will win when all is said and done. But that comes with each and every year and is part of what makes things so fun. 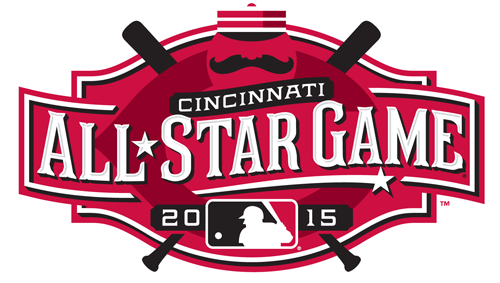 The final rosters for the 2016 All-Star game aren’t complete just yet, however. There is still one final spot up for grabs in the American League and National League. Which players fill those roles comes down to the fans. From now until Friday at 4:00 p.m. Eastern, you have the opportunity to vote for either Brandon Belt, Ryan Braun, Jake Lamb, Starling Marte or Trevor Story in the NL, and Ian Kinsler, Evan Longoria, Dustin Pedroia, Michael Saunders or George Springer the AL. For what it’s worth, I plan to cast my vote for Jake Lamb and George Springer, who are each having somewhat under-the-radar, but superb years. You can pick whoever you want to by going HERE and casting your ballot. It should be interesting to see how the game goes a week from tonight. We aren’t even a month into the baseball season, and the 2016 Major League Baseball All-Star game ballot has already been released. I feel it’s a little too early to be casting votes for the Midsummer Classic, as some superstar players have gotten off to rough starts and will likely get back to their former glory by the time the All-Star game arrives on July 12th out in San Diego, while some previously unknown players who have busted out of the gate will likely be merely trickling along by that time. But even so, I decided to go ahead and post a blog on the subject, regardless of the earliness of it all. With guys such as Eric Hosmer, Miguel Cabrera and Chris Davis to choose from in the American League portion of things, this wasn’t necessarily an easy decision, but I ended up going with Joe Mauer. Leading the pack in batting average, Mauer has really gotten off to a nice start of what looks to be a bounce back season. For the National League, I chose Adrian Gonzalez. He is second in the National League first basemen group in average, and is off to an equally good start as Joe Mauer. Amazingly, Joey Votto, Freddie Freeman and Anthony Rizzo are all batting down around .200, making this a somewhat easy choice. Picking between Jose Altuve and Ian Kinsler was rather difficult, as both have stats very similar to the other. In the end, however, I chose Kinsler for the all-around game he brings to the table. While Altuve has had a hot bat to begin the season, it’s Kinsler who I feel can continue to hold his streak the longest. There are multiple options for National League secondbaseman, with Daniel Murphy and Jean Segura’s high averages jumping out as All-Star worthy. But I wound up picking Neil Walker, who has a combination of a good average, along with a high early homer total that make him All-Star game worthy. After winning the 2015 American League Rookie of the Year award, I currently have Carlos Correa being the AL starting shortstop at the All-Star game as well. Correa plays a great defense and has just as much pop in his bat as anyone around baseball. Therefore, I picked him on my ballot. The National League shortstop spot goes to Zack Cozart in my mind. While Trevor Story leads the pack in homers and RBI’s, the majority of those came during his extremely hot (and historic) first several games. Recently, Story has cooled off a ton, and the shortstop spot is Cozart’s to lose, in my opinion. There are a ton of worthy candidates in the American League for All-Star game third baseman, but, unfortunately, I could only choose one on my ballot. Josh Donaldson, Mike Moustakas, Nick Castellanos and even Adrian Beltre all have cases. But I went with Manny Machado, who has been incredible to start the season. Going against Maikel Franco and Kris Bryant was extremely hard to do, especially with them getting off to good starts, but I didn’t go with either of them. Instead, I went with Nolan Arenado. Although his stats aren’t much better than any of the other options, Arenado is one of the best both offensively and defensively at the position. Though his average is a good distance away from the magic .300 mark, Salvador Perez is deserving of the All-Star catcher slot. 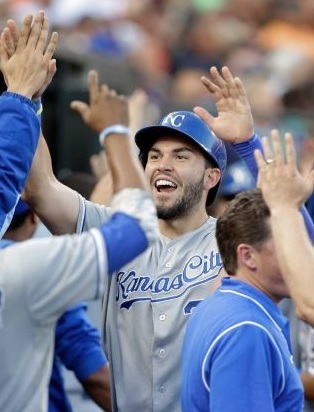 He is having a great season in Kansas City, once again, and easily earns my vote. Always consistently good, Perez is one of the best catchers in the game, and should be honored as such. Yadier Molina is always the heavy favorite for National League starting catcher, and he is once again on top in batting average. But I didn’t go with Molina. Instead, I went with breakout catcher, Wellington Castillo. Castillo is having a great year to this point, and he has a very good case for being named the starter in July. David Ortiz could be hitting .100 by the time the All-Star game rolls around and he still would be worthy of the vote. Being his final season, and with all he’s done over his career, he deserves it no matter what. But the stats are there, regardless. Ortiz more than deserves to play in his final All-Star game. Picking Mark Trumbo and Steven Souza Jr. was a bit tough, but they’re having too good of seasons for me to ignore. Although they likely won’t be the top vote-getters when all is said and done, they earn my vote for now. Mike Trout, on the other hand, was a no-brainer. Despite a slow start, Trout is heating things up, and is still a superstar. As with Mike Trout in the AL, picking Bryce Harper for National League outfield was the easiest choice of the three. But after a lot of debate between the candidates to fill the other places, I wound up choosing Yoenis Cespedes and Ryan Braun, who are each having uniquely great seasons, and are each very exciting players to watch. With a 5-3 win over the National League, the American League achieved the All-Star game victory on Tuesday night, and, more significantly, secured the all important home field advantage for this year’s World Series. Though home field advantage is considered by some to be meaningless, with the home team having gone 18-18 in the history of World Series game sevens, given the fact that the past five World Series winners have had home field advantage, it’s proven to give a slight advantage when the Fall Classic rolls around, at least as of late. But while each and every All-Star game brings it’s share of superstar players who are looking to take home a win, this particular game was noticeably more special than it has been in a long time. Derek Jeter, who announced back in February that he had planned to retire following the season, was the focus of everyone’s attention. After playing in just 17 games all of last year with an ankle injury, coming back for one final season gave fans all around the country the opportunity to show their appreciation to the captain. In his fourteenth and final Major League Baseball Midsummer Classic, the entire ballpark took the time to acknowledge the brilliance of Jeter’s two decade career in pinstripes, giving him a loud cheer upon his introduction and a long standing ovation for his first at-bat of the game. On cue, Jeter drove the second pitch from Adam Wainwright down the right field line, pulling into second base with a double — good old-fashioned Derek Jeter baseball. With a triple off the outfield wall, Mike Trout drove in Jeter for the game’s first run, and was promptly driven in by Miguel Cabrera, who blasted a home run to left field to give the American League a quick 3-0 lead. The National League would answer back in the top of the second, with an Aramis Ramirez single, followed by a pair of doubles from Chase Utley and Jonathan Lucroy, which brought the score to within one run, to 3-2. Jeter came up to the plate in his second and final at-bat of the game (his final All-Star at-bat of his career) in the third, and he once again found a way to bloop a hit out into right field — something he’s done numerous times in his career. 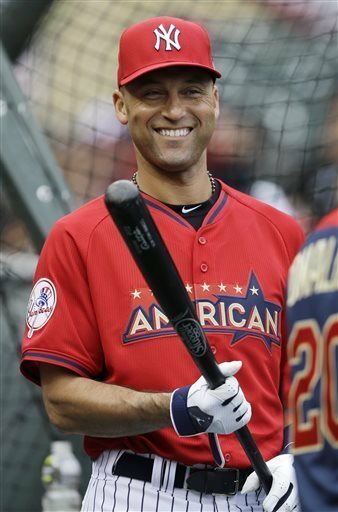 With that hit, Jeter raised his career All-Star game average up to a staggering .481 average (just a few back of the best career Midsummer Classic average of all time) and became the oldest player in history to record a multi hit All-Star game. Taking to the field in the top of the fourth, Derek Jeter was replaced by Alexei Ramirez before the inning got going, and exited the game to a standing ovation. After giving the crowd a curtain call, Jeter returned to the dugout where he would take in the remainder of the game, which saw many great plays, and tons of excitement. In the very inning that Jeter was removed, the National League, with the help of a Jonthan Lucroy double that scored the speedy Dee Gordon from first (Gordon had just replaced Chase Utley) tied the game at three aside. But it wouldn’t last long. In the bottom of the fifth inning, Mike Trout and Alexei Ramirez each drove in a run after a few hits put players on the bases, taking the score up to 5-3 in favor of the American League. Things would stay right there through the ninth inning, when hometown guy, Glen Perkins, came in to close out the game. Going down 1-2-3, the National League didn’t have a comeback in them on Tuesday night, and the American League won the game, thanks to a save by Perkins who is one of the most underrated closers in the game. 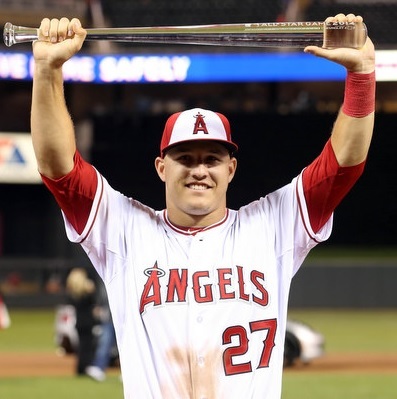 Although it was Jeter’s final All-Star game, Mike Trout ended up taking home the Most Valuable Player award, having gone 2-3 with a couple of RBI’s on a triple and a double. Though many people felt it would’ve been story book for Jeter to win the MVP, Trout was certainly deserving of the honor. In his third All-Star game, Trout becomes the second youngest player to win the game’s Most Valuable Player (Ken Griffey Jr. was the only player younger), and there’s no doubt that Trout will play in numerous more Midsummer Classics, with a good shot that he will pick up a few more MVP’s in the process. In the end, while it was a competitive All-Star game that went back and forth, there’s one thing from the entire event that will forever stand out in people’s mind. Sure, people may remember the great pitching performances by the American League; they’ll probably remember the great MVP caliber game that Mike Trout put together. But the one thing that everyone will remember the most is Derek Jeter and the final All-Star memory he instilled upon all who witnessed it. That will stick with people for a lifetime. The American League and National League rosters for the 2014 Major League Baseball All-Star game, set to be held up at Target Field in Minneapolis, Minnesota, on July 15th (you can watch it on FOX at 8:00 Eastern) were released on Sunday evening. As always, the baseball world is hard at work discussing the rosters, debating over which players were snubbed from the teams of 34, which players didn’t necessarily (in their eyes) deserve to make the cut, and (most importantly) which team they think will win. But that comes with each and every year. While both rosters have their share of superstar players, as well as young first time standouts, I have to go with the National League as far as a prediction of who will win the mid-summer classic. Overall, I feel their starting lineup, as well as pitching staff and reserve players, is a touch stronger than that of the American League, and that should inevitable gain them the victory — and, subsequently, home field advantage for the World Series. But the rosters aren’t completely finished just yet. There is still one spot left for each league, and the fans get to decide who gets the final spot. For the American League, the final vote candidates are Dallas Keuchel, Corey Kluber, Rick Porcello, Garrett Richards and Chris Sale. Of the five, I voted for Chris Sale, as he’s consistently been one of the most dominating pitchers over the course of the past few seasons. For the National League side of things, the final vote candidates are Casey McGehee, Justin Morneau, Anthony Rendon, Anthony Rizzo and Justin Upton. Though a strong group, I went with Casey McGehee, as despite very little display of power, he’s been a driving force in the Marlins’ great season thus far. With the 2014 Major League Baseball rosters for the All-Star game set to be announced on Sunday night, it leaves just enough time for fans such as myself to give their takes on who is deserving of the mid-summer classic. While the voting has officially ended, and although I’ve already given my take on who I feel would be the most worthy candidates in a post I did back in April, I wanted to take the time to discuss the rookies who are posting the stats of an All-Star caliber player. 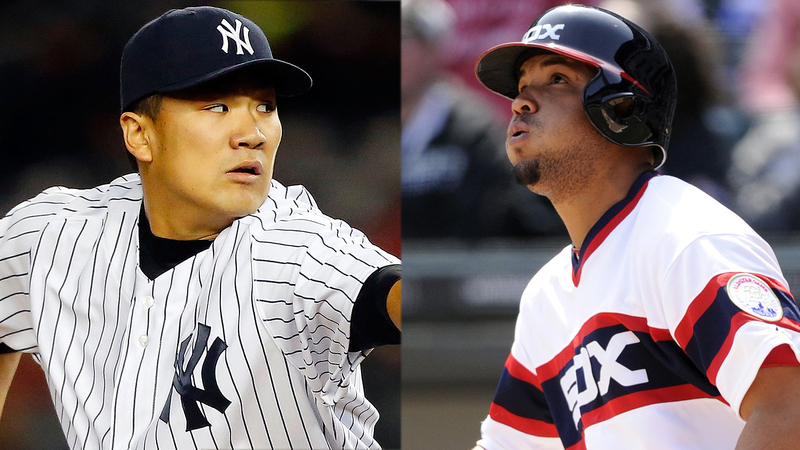 The two rookies who are near locks for the game are Jose Abreu and Masahiro Tanaka. Jose Abreu came to the White Sox this past offseason as the prized international slugger from Cuba. Though he displayed some of his amazing power back in the 2013 World Baseball Classic, and although there were numerous stories of his incredible hitting performances, no one truly knew what the Sox were getting when they signed Abreu to a 6-year, 68 million dollar contract. But he’s done nothing but deliver on the gamble. Currently riding an 18-game hitting streak, and with his .280 batting average on the year to go along with his 27 home runs and 69 RBI’s (all despite an injury which would’ve led to even larger stats), Abreu is a favorite to make the All-Star roster for the American League. As with Abreu, Masahiro Tanaka was an extremely hyped international player who was a major sign this past offseason. Finding a home with the Yankees, on a 7-year, 155 million dollar deal, Tanaka has kept an otherwise dismal Yankees team in the race for the American League eastern title. Without him and his overpowering splitter, there’s no telling where the Bronx Bombers would be at. Over the course of 17 starts, Tanaka has posted a 12-3 record to go along with a 2.27 ERA, and that should be enough for the All-Star game, with the possibility of Tanaka receiving a number of different awards come the end of the season. But while Abreu and Tanaka are likely to find themselves up in Minnesota in just over a week, there are a few other rookies who have a decent case to join them but may fall just short of making the cut. Dellin Betances is probably the biggest example of that, as he arguably has the stats to join the other great players, but perhaps isn’t quite over the line. Through 37 games of relief for the Yankees, Betances, with his 1.61 ERA, has blown away the opposition, striking out a total of 78 batters. That’s the one thing that separates Betances from the rest of the talented rookie pitchers, as though a couple of other rookie pitchers have great ERA’s — Jake Petricka with 1.94 and Jeurys Familia with 2.22 — no other reliever has a strikeout ratio close to that of Betances. Even so, while his stats are impressive, they may not be impressive enough for him to pitch up at Target Field next week. On the offensive side of things, not likely making the cut is newcomer George Springer, who has been one of the main reasons behind what has turned out to be a better-than-expected season for the Astros so far this year. Though not making the team out of Spring Training (an extremely talked about story line), Springer’s 17 homers and 46 RBI’s are note worthy, nonetheless. 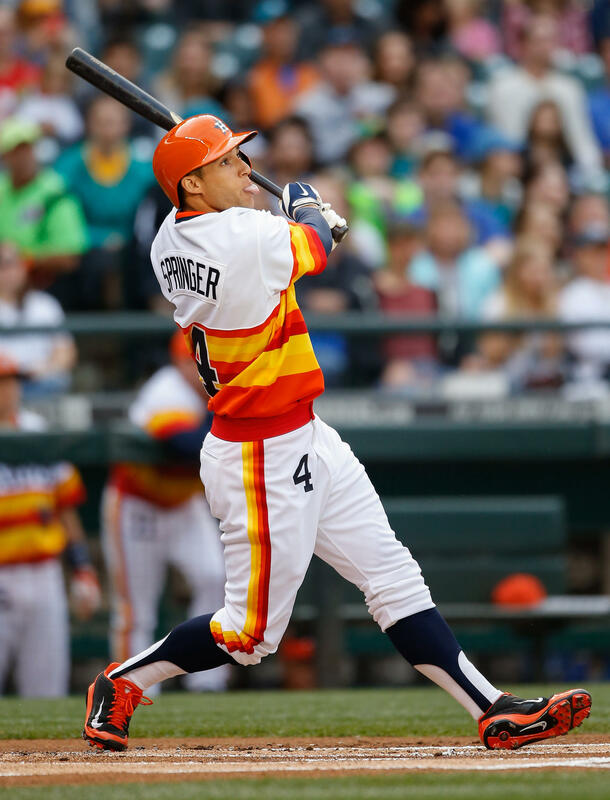 The biggest problem with Springer’s All-Star case is a mere .242 batting average. That’s the one thing that will keep him from making the All-Star team this year, and the one thing Springer will have to improve upon if he wants to make the cut in 2015. While the rookies listed above may or may not make the 2014 MLB All-Star team rosters (you can find out on Sunday at 7:00 on ESPN), there’s no doubt that they will all be making huge impacts on their given teams for years to come. And therefore, it would come as little surprise if they each make their fair share of All-Star rosters. They’re all truly big impact players. When Max Scherzer allowed a mere three hits over nine shutout innings in his first career complete game last week, I made the statement that, despite a dismal start to the season by the Tigers, the great outing by Scherzer could be the starting point in a turn around for the team. But it appears I was wrong. Lasting just four innings against the Royals on Tuesday, giving up a total of ten runs, and raising his ERA up to 3.84 on the season, Scherzer joins the long list of Tigers players who’ve struggled at some point this year. More importantly, however, the Royals 11-4 rout of Scherzer after an 11-8 win against Justin Verlander the night before (the first time since 2011 that they’ve posted a double digit score in back-to-back games) helped them swap places with the Tigers, moving them into first place in the American League Central by a half game. The first time the Royals have been in first place in their division this late into a season (70 games or beyond) since 2003, and the first time the Tigers haven’t held the first place spot in over a year, the great run by the Royals as of late should help to get their fan base excited, at least for the time being. With a slow start to the year leading many people to once again assume that what was supposed to “finally” be the Royals’ year was yet again another bust, the Royals have gone from seven games back of first a month ago to leading the division. Thanks to a nine game winning streak (the longest winning streak for the Royals since July of last year) and to a struggling Tigers team, the Royals are seemingly in good shape to make the playoffs for the first time since 1985 (the longest drought in all of baseball). It’s important to remember, however, that the AL Central is a very close division. As I touched upon in a previous post, the Royals aren’t the only threat to the Tigers. Every single team in the entire division stands a legitimate chance at being at the top when the end of the year rolls around. Though the Tigers should be running away with things, struggles by most of their offense and the majority of their pitching staff has left more to be desired, giving every other team room to make a run. The Twins are playing decent baseball (with the exception of a slow stretch lately); Jose Abreu and the White Sox are hanging in the mix; and the Indians are looking to pass the Tigers in a matter of days if the Tigers’ struggles continue. And thus, the Tigers need to turn things around fast. With just under a month remaining until the All-Star break in mid-July — though teams will undoubtedly move up and down in the standings between now and then — things are setting up for an extremely exciting second half of an already eventful season.